Three double-sided 11˝ × 16˝ maps round out the package. Each board is completely geomorphic and compatible with previous ASL mapboards. Offering novel map configurations, these are sure to spark the interest of designers and players alike. Featuring a number of tournament length scenarios, TO THE BRIDGE! 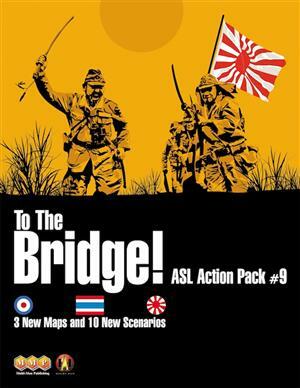 is the perfect companion to the RISING SUN module.